Home » Alireza Sepehr, M.D. 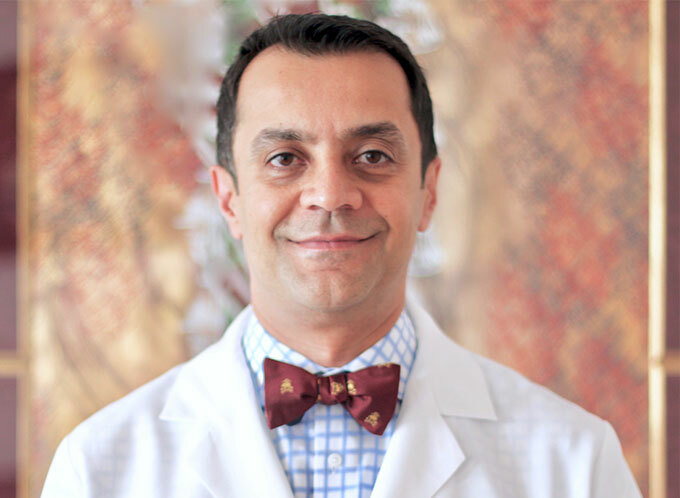 Dr. Alireza “Al” Sepehr is a board-certified Harvard-trained dermatopathologist. He was formerly an assistant professor of pathology at Harvard Medical School and is board-certified in both dermatopathology and anatomic pathology. Dr. Sepehr completed a post-doctoral fellowship in molecular cancer epidemiology at the National Cancer Institute (NCI) in Bethesda, Maryland. He subsequently completed a residency in pathology and a fellowship in gastrointestinal pathology, both at Massachusetts General Hospital (MGH) and Harvard Medical School. He then finished a fellowship in dermatopathology at Harvard Dermatopathology Program and received an academic faculty position in the Department of Pathology at Beth Israel Deaconess Medical Center and Harvard Medical School. He remained on staff until 2013 when he founded Beacon Pathology, a dermatopathology and consultation laboratory which provides services to dermatology practices in Massachusetts. His research expertise includes melanocytic neoplasms of the skin, proteomics, and molecular cancer epidemiology. Dr. Sepehr has more than 70 medical scientific publications, including original articles, reviews, and book chapters. He is a member of the editorial board of international journals in dermatology and pathology. Dr. Sepehr is internationally recognized as director and faculty of multiple courses on melanocytic skin neoplasms and has given more than 40 lectures on cancer and dermatopathology at the international, national, and regional levels.